Congratulations to the three teams from BAM Jam that qualified and will be attending the USA Basketball 3 on 3 National Championship tournament in Colorado Springs, CO at the Olympic Training Center. USA Basketball has confirmed that Northwestern Mutual (Men's Elite), BBA (Women's Elite) and G Unit (Boys High School Elite) will all be attending the National Championships. The men's and women's open 3 on 3 tournament is May 9-11. The U18 3 on 3 basketball tournament is May 30-June 1. The teams will compete for a chance to represent the United States in international competition. The open division World Championships will be held in Moscow, Russia on June 5-7. The U18 team will compete in the Youth Olympics, which will be in Nanjing, China on August 16-28. Stay tuned for updates on how the teams do. Next up for BAM Jam is our summer 3 on 3 basketball tournament, which brings in the top 3 on 3 basketball teams from around the northwest. 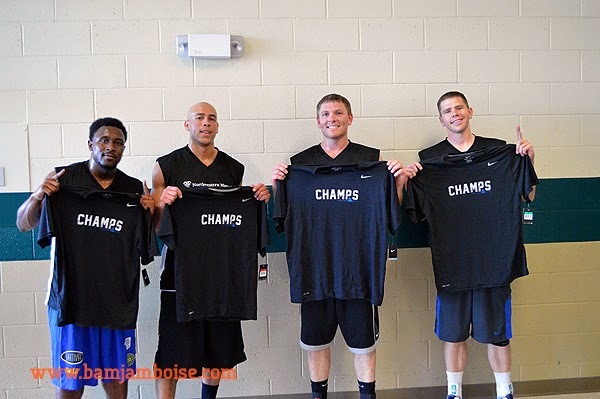 The tournament dates are August 9-10, 2014 and will be played on the streets of downtown Boise, ID. For more information about USA Basketball and their 3 on 3 basketball program, visit www.usab.com or click here.